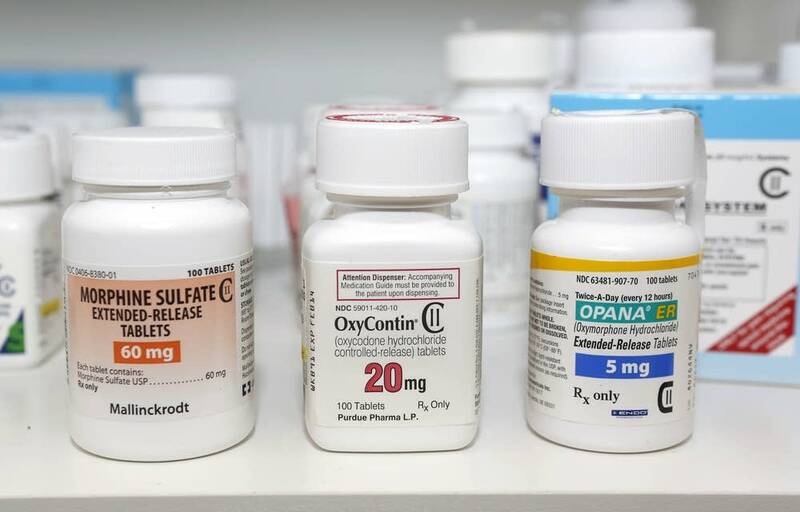 With the number of Minnesotans who die of opioid overdoses rising each year, a state working group has released guidelines for doctors and other prescribers that may change how they prescribe opioid painkillers. The working group recommends health professionals limit the strength of opioids prescribed for minor procedures, as well as how long patients should take them. At least 376 Minnesotans were killed last year by opioids, a family of drugs that includes everything from heroin bought on the street to widely prescribed pain pills like oxycodone. "Women and native people are the hardest hit, but this is a crisis that is hurting people in every corner of our state, from every walk of life," said Lt. Governor Tina Smith. Dr. Chris Johnson, who headed the Opioid Prescribing Working Group, said the recommendations are focused on changing how doctors view the treatment of pain. It recommends prescribers avoid starting patients on opioids to treat chronic conditions. "Research has shown conclusively that every brain is at risk, and once the exposure starts happening to opioids, your risk goes up," Johnson said. "Our recommendations reflect that, and everyone is at risk." For patients who have been on opioids long-term, Johnson said the working group isn't recommending that they be yanked off them. Instead, it asks medical providers to better monitor patients, develop referrals for substance abuse and, in some cases, help patients arrange treatment. "One can't ignore the fact that this problem didn't happen in many other countries, it only happened in America," Johnson said. "What was it about our health care system that was vulnerable to this, and do we use this as an opportunity to make a change?" State Sen. Chris Eaton of Brooklyn Center said working on opioids has brought Democrats and Republicans together at a tumultuous time in politics. Eaton, a Democrat, lost her daughter Ariel to an opioid overdose about a decade ago. Standing beside Eaton at the press conference Friday was Republican state Rep. Dave Baker, of Willmar, whose son Dan died of an overdose in 2011. "It is completely bipartisan," Eaton said. "I've never seen everybody working together so closely, and so smoothly." The working group made up of doctors, pharmacists and other health professionals crafted the 67-page draft guidelines over the last two years. The public may comment on the draft guidelines for the next 30 days. The state may take other actions as well. Both Rep. Baker and Gov. Mark Dayton support a bill that would add a "penny a pill" fee for opioid painkillers. The expected $20 million or so in revenue that would be generated from drug companies each year would be used for programs to prevent opioid abuse and to fund treatment options. The state has also recently been awarded $1.4 million to crack down on opioid trafficking, with a special focus on reducing the availability of illegal opioids in American Indian communities.